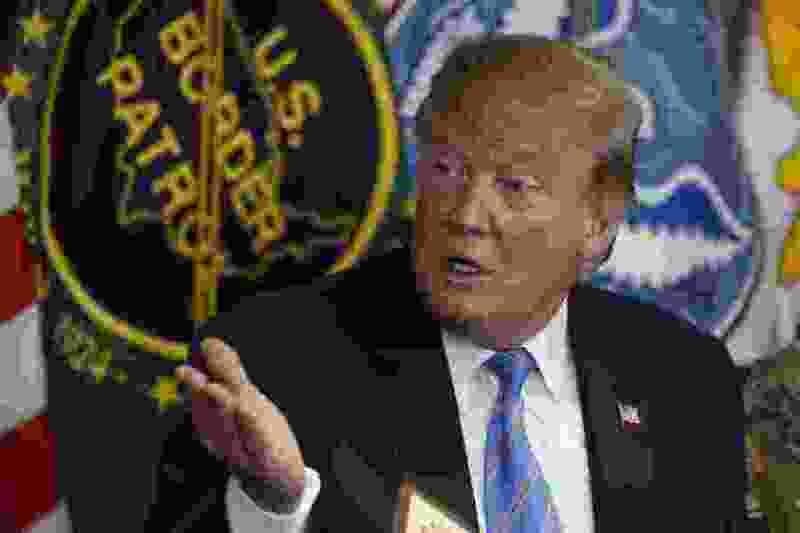 (Jacquelyn Martin | Associated Press file photo) President Donald Trump participates in a roundtable on immigration and border security at the U.S. Border Patrol Calexico Station in Calexico, Calif., on April 5, 2019. Trump is insistent about his plan to send migrants to sanctuary cities. Washington • President Donald Trump suggested Monday that his threat to ship migrants to so-called sanctuary cities is taking effect, even though it remains unclear whether such a plan is feasible.